As part of the new Low Voltage Directive, manufacturers are required to include an ‘adequate analysis and risk assessment for their equipment within technical files. What this means is that a Risk Assessment should be undertaken as part of the conformity process. Product Risk Assessments have been around for a number of years now with the Machinery and Medical Devices Directive all having them as a requirement, but it will now become a common requirement across all of the new CE Marking Directives. The purpose of the risk assessment is to help manufacturers identify the hazards relevant to their products and to use this information to help identify the applicable essential requirements of the directive and any standards that can be employed to reduce or eliminate the risks. 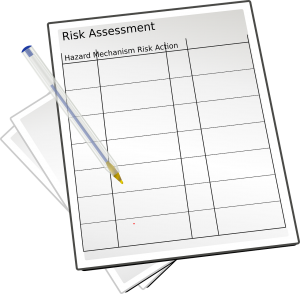 Whilst risk assessments can be subjective, Gainspeed is available to help manufacturers through the process. To help you understand the process, we have created a quick guide on what to expect from this service. Using the relevant standards plus manufacturers and Gainspeeds experience, we will identify all the risks associated with every aspect of the product. Once all the risks have been identified we will score the risks based on Likelihood of Occurrence, Frequency of Exposure, Degree of Possible Harm and Number of Persons at risk. The resultant risk level will determine the need for further action. A Moving blade may pose a high risk of harming the user and be deemed an unacceptable risk. Further action may be to fit a locked guard to protect the user and appropriate warning symbols. All further actions are addressed and the unit is reassessed to be of acceptable risk overall. Gainspeed create a risk assessment report and all attendees sign and agree the findings. This is then used to satisfy the LVD or relevant standard associated with the unit, finally ready to be entered in the technical file. On average a full risk assessment only takes between 1-2 days depending on the client and product!